At East Tilbury Primary School we teach children the skills and knowledge necessary for them to become lifelong learners. Based on the National Curriculum, each unit of work teaches children content and knowledge as well as basic skills that will equip children for life beyond their primary school career. Each unit of work develops around one central idea and are based on one of our theme areas. These are used as starting points alongside a hook to introduce the unit of work. To coincide with our homework policy we also invite parents/carers in to school each half term for a project evening. During this hour, projects will be displayed in the classroom for parents/carers to come in and see. This is also a chance for parents to view the current work on display in the classroom and surrounding areas. ​Each term will focus in on one of the following theme areas. The theme area will need to be considered when planning and the ideas should flow through the unit studied. ​We are determined to support our children live healthy and fulfilled lives. We employ a specialist teacher in PE, which enables us to develop high quality teaching skills in all areas of physical activity. The whole school completes a Daily Mile each day as part of our curriculum. We have achieved The Essex Schools Champion Award for The Daily Mile and regularly feature on the medal table in competitive sport across the borough. 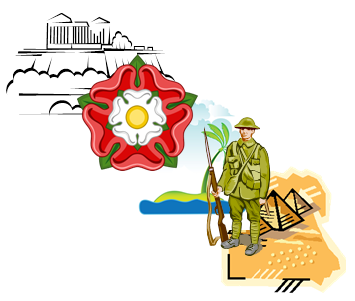 Our local connections with Bata Heritage and the Royal British Legion continue to strengthen; we are now an affiliated member of the RBL with our own Standard, and continue to lead the Remembrance Service for the community. We are establishing more effective international connections, for example through our cross-Trust Chinese Project. Many of you will have seen the excellent work produced as part of our popular home learning projects including Year Six’s recent Equity Action Titanic Exhibition. This work clearly demonstrated that any work or experiences that children can do outside of school related to our plans for the forthcoming summer term will help develop a continuing curiosity and creativity in learning. It is wonderful to see the power of the collaboration between school and home through the home learning projects. We look forward to sharing more with you during our assemblies, Equity Actions and other events.